Since the late 1800’s Australia has maintained an important hydrographic presence in the South West Pacific. This began with Royal Navy (RN) ships of the Australian Division of the East Indies Station and was followed later by those assigned to the Australia Station. The relationship was consolidated with the establishment of the Royal Australian Navy (RAN) and specifically through the institution of the Australian Hydrographic Branch in 1920. European settlement in Australia precipitated many voyages of discovery and exploration throughout the South-West Pacific that would impact the people of the Solomon Islands. The 17th and early 18th centuries saw a proliferation of charts and maps of the region recording, with increasing accuracy, the hydrography of the Solomon Islands and numerous other South-West Pacific nations. In an effort to establish law and order in the Solomon Islands, Great Britain declared it a protectorate in 1893 and by 1900 the remainder of the Solomon’s group was included within that protectorate. This enabled RN ships to conduct more extensive surveys. During World War II there was an upsurge of interest in the strategically important island group as the Japanese, Americans and Australians each conducted important military hydrographic surveys. It was during the war years that Australia cemented its enduring hydrographic association with the Solomon Island’s people. From the 1950’s to the early 1970’s RN hydrographic ships surveyed the northern portion of the Solomon’s, including the Bougainville Strait, Manning Strait and New Georgia Sound providing updated chart coverage to the United Kingdom Hydrographic Office (UKHO). The British Solomon Islands Protectorate (BSIP) Marine Department was also active in carrying out large scale surveys during this period. Under the direction of merchant service Captain’s Taylor, Fish and Evans surveys of harbours, islands, passages between islands and wharf sites were completed with the support of a lone cartographer, Mr Paul Teferomu. 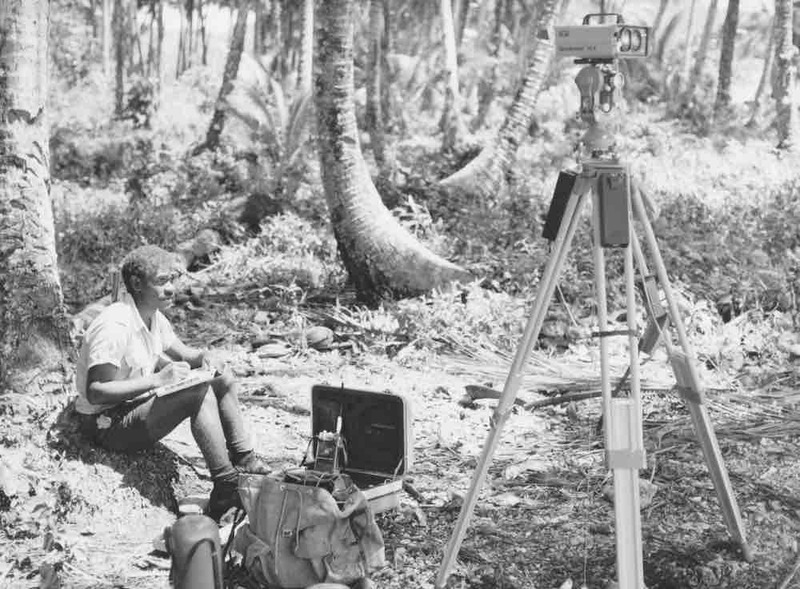 These large scale coastal and “sketch” surveys saw Mr Teferomu produce a significant number of A3 chartlets which were subsequently published by the Solomon Islands Government printer and made available to Solomon Islands Marine and Provincial government craft and a variety of other visiting vessels. Data relating to those surveys was also forwarded to the UKHO where any safety issues highlighted were incorporated in Notice to Mariners publications. External international hydrographic survey activities ceased in the mid 1970’s but the need for an ongoing hydrographic surveying capability was acknowledged leading to the creation of a localised hydrographic capability. 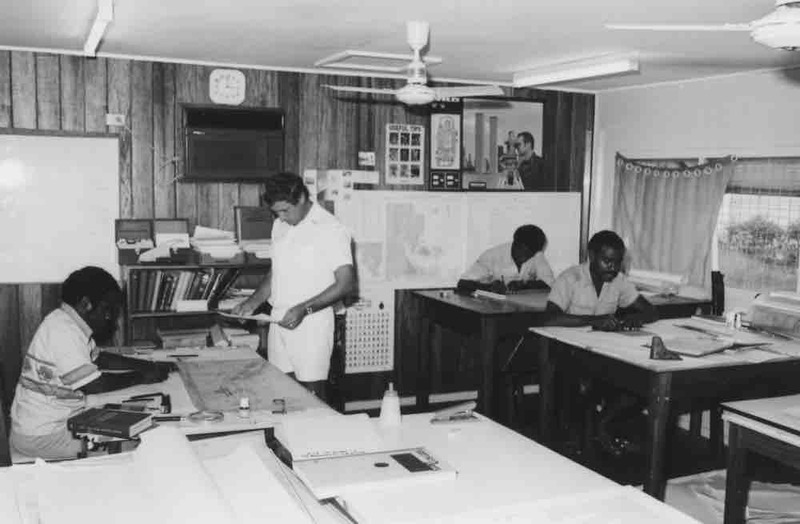 In 1979 the Australian Government, under the auspices of the Defence Co-operation Program (DCP), saw benefit in working closely with the Solomon Islands to establish a local hydrographic capability. In 1980, under an arrangement between both countries, it was agreed that Australia would provide a hydrographic adviser for a period of two years to oversee in-country training and establish the new limited hydrographic capability. The ultimate aim of the project was to initiate the operation as soon as practicable which included providing the necessary equipment and overseeing a number of surveys. In November 1980 a Chief Petty Officer Survey Recorder (CPOSR) from the Royal Australian Navy Hydrographic Service was appointed Officer-in-Charge of the Solomon Islands Hydrographic Unit (SIHU) which resided within the Solomon Islands Marine Division (SIMD) in Honiara. In addition to managing the hydrographic program the advisor was also responsible for the Navigation Aids Section. In order to perform his duties a significant inventory of land and hydrographic surveying equipment was required, as well as cartographic office equipment, all of which was supplied under the DCP. The SIHU at that time consisted of one draughtsman who had completed a 2-year survey and drafting course with Solomon Islands Department of Lands and Surveys (SILS) and a number of untrained assistants. The unit demonstrated excellent cartographic skills, having published a number of quality charting products; however, it was sorely in need of hydrographic skills. The proposal during the first two years was for the RAN advisor to conduct an audit of surveying already undertaken, taking into consideration national development, future infrastructure needs, and the requirements of national and international shipping in the Solomon Islands. From this, a plan would be developed to forecast future hydrographic surveys with a view to prioritising future charting requirements. Senior Survey Year Honiara Technical Institute, Enoghae Harbour Survey, 1981 (Old Japanese 4 inch gun). (L-R) Front: Robin Daoe (Nauru), Atalea Kautoke (Tonga). Middle: Fana Patoro (Tuvalu), Fuata Mosese (Fiji), John Suga (master WAKIO), Robin Daoe (Nauru). Rear: Frank and Clifford (SIHU), Telua Sulaki (Tonga). 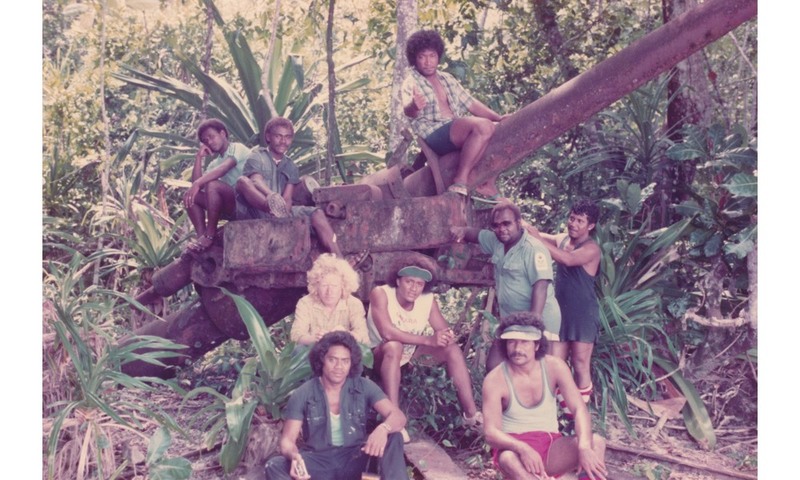 Clifford Olisukulu (SIHU) observing at Marau Sound 1982. To achieve this, the unit had to first increase its staff to a suitable level to meet the field and cartographic office roles. During the first two years, a hydrographic surveyor and two hydrographic assistants undertook in-country training to attain hydrographic competences and complete the necessary equipment training. In spite of difficulties surrounding vessel availability a number of wharf and harbour surveys were completed. Hydrographic training was also undertaken by SIHU personnel at the Australian Hydrographic Office and Hydrographic School at HMAS Penguin. Left: HODSU at Argo site, Kira Kira 1982. (L-R): Cochran, ABETS Steve Bowerman, Varley, Henkle, Heyneman, Quarell, Koenig and Helen. Right: Survey team and ‘Wakio’ crew, North Island. (L-R): Vitali, John Suga, George Takeli, unknown, Patterson Taupongi, unknown. (Seated): Frank and Petermasa. 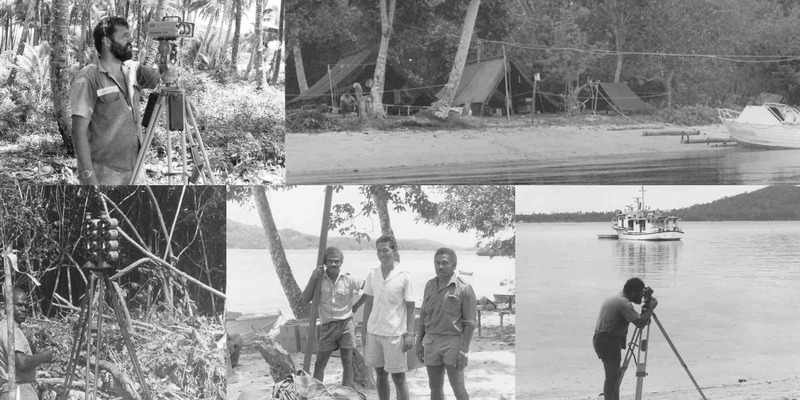 In November 1983, the Solomon Island Government decided to place all surveying activities under the one administration and consequently SIHU was transferred from the Marine Division to SILS under the direction of the Surveyor General. This move provided access to better cartographic, lithographic and survey facilities, while maintaining close ties with the Marine Division. Following the Unit’s move to SILS it developed its own identity, and continued to carry out many large scale surveys, compiling and producing a series of charts to IHO standards based on the country’s maritime needs. CPOSR Walker and Paul Teferomu and staff, SIHU Office 1983. A succession of RAN hydrographic Chief Petty Officers were attached to the SIHU usually for periods not exceeding two years. In their capacity as advisors they provided support with hydrographic and cartographic management, conducted in-field training and oversaw the conduct of surveys. A one-off attachment of an AHS cartographer to the SIHU, to conduct a cartography course, further enhanced the unit’s capabilities. During the 15 year life of the DCP program, two SIHU staff attended H4 hydrographic survey courses and seven completed the basic survey recorder course at the Hydrographic School at HMAS Penguin. Development of cartographic expertise was also taking place and two members of the unit’s staff completed exchange postings at the Australian Hydrographic Office. Others completed survey cartographic courses at the Honiara Technical Institute where the AHS Advisors periodically lectured. Courses were also hosted by the University of Technology in Lae, Papua New Guinea and the Royal Melbourne Institute of Technology. 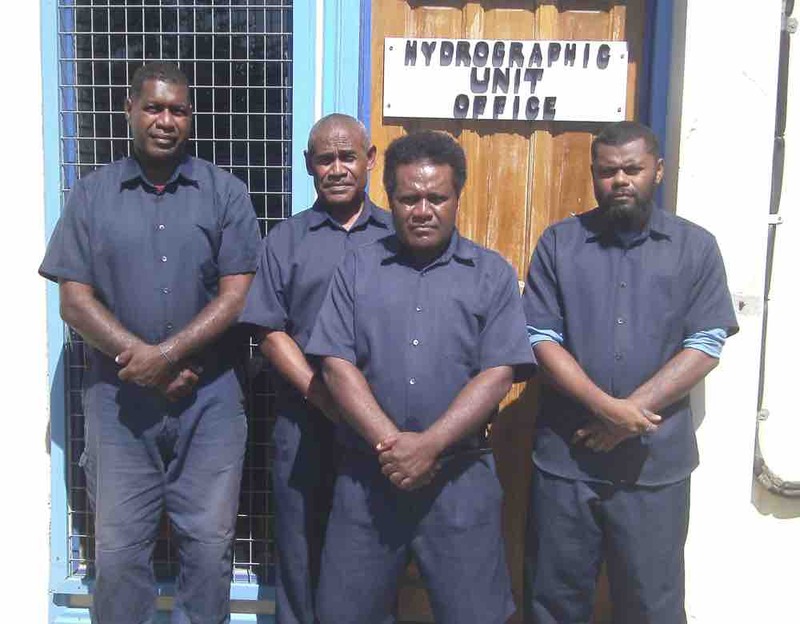 Some members were accepted to train further afield, completing Maritime Boundary Delimitations Courses in Canada and on-the-job training with the Fijian Hydrographic Service. The Senior Cartographer undertook training in the UK with the Royal Navy at the Hydrographic Office at Taunton while other staff completed Bathymetric Surveying courses in Fiji under SOPAC. Frank Fere' Ansia and Clifford Olisukulu, Marau Sound, 1982. 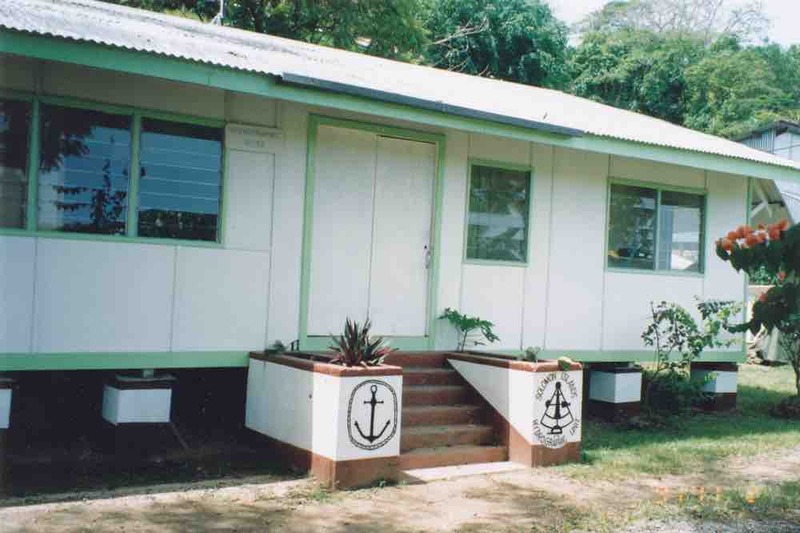 Important nautical and seamanship training, a fundamental part of any hydrographic survey work, was undertaken at the Solomon Islands Marine School located at Ranandi in Honiara. A five-year rolling plan of surveys was developed and periodically revised in tandem with the Solomon Islands Charting Scheme. In the late 1980’s the Surveyor General agreed to become a printing nation for the INT series of charts and also offered to compile and print INT 623, although this never came to fruition. A chart agency also was operated by SIHU selling British Admiralty, Australian and Solomon Islands' charts and other necessary maritime publications. Through its relationship with the Solomon Islands Marine Division the SIHU was granted periodic use of the M.V. Wakio and other small craft to achieve its aims which included the maintenance of navigational aids. This arrangement worked satisfactorily but after the move to SILS it incurred intergovernmental department charges for vessel use which in the long term could not be sustained. 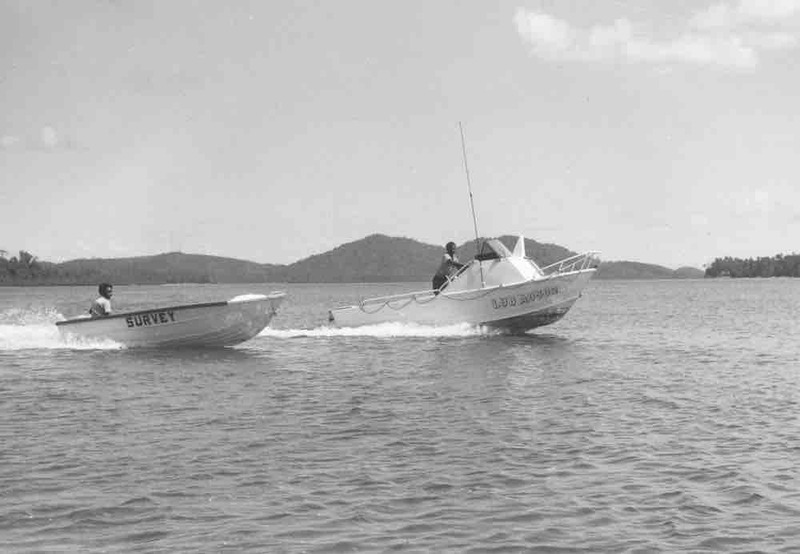 In 1980, under the DCP Program, the SIHU was provided with a 5 metre half cabin open boat and a smaller support boat to further enhance its capabilities. However, the continuing reliance on the Marine Division’s vessels to conduct survey operations, coupled with the limitations it placed on the SIHU, highlighted a need for a long term solution. Recognising this, Australia, under the DCP, procured a fully equipped 52 foot ketch motor sail vessel that could be deployed at will with due regard for economy (sail to survey area), handling, accommodation (8 persons) and storage facilities. It was equipped with radar, SatNav and autopilot and fitted out with a survey equipment package including Trisponder Positioning System, and Elac Echo Sounder which increased the Unit's capability immensely. The vessel was delivered in September 1990 and named M.V. Solomon Ophir. Included in the package was sail training for SIHU and Marine Division staff, a two-year maintenance package and a five year maintenance program for the vessel’s navigation and survey equipment. M.V. Solomon Ophir would remain with the Unit until disposed of in 1995. The day-to-day operation of the SIHU was funded by the Solomon Islands Government. Through the life of the cooperation project the acquisition or purchase of major items of new or replacement surveying and drafting equipment was supplied by Australia or sourced in country. A major issue for the long term viability of the SIHU was the cost of having modern hydrographic surveying equipment repaired. Such repair facilities did not exist in Solomon Islands and equipment had to be returned to Australia for repair under DCP. This process would be a contributing factor to the survival of the Unit post the project. Solomon Island Hydrographic Unit 1994. Throughout the life of the SIHU it maintained close ties with other Solomon Island government departments in dealing with shipping, aviation, maritime boundaries, fisheries, geology and oceanography as well as routinely communicating with provisional governments on shipping and maritime matters. The unit also provided support and guidance to other DCP projects in the Solomon Islands such as reef clearance and ordnance removal by RAN clearance divers and Australian Army engineers (todays Operation RENDER SAFE) and aerial photogrammetry surveys conducted by the Australian Army Survey Corps. The Australian advisors and SIHU staff also worked closely with other Solomon Island Government agencies such as the Police and EOD Unit, Fisheries, Environment, and Provincial Centre’s to name a few. During the expansion of the SIHU, several surveys were conducted by the MV Cape Pillar in Solomon Islands waters. These were funded by the Australian International Development Assistance Bureau with a detached onboard survey team provided by the RAN Hydrographic Service. The first survey, conducted in 1982, covered Indispensable Strait, the South coast of Guadalcanal and San Cristobal and the East coast of Malaita and Ulawa Island. In 1987 a bathymetric survey of the eastern Solomon’s commenced and this was completed when the ship returned in 1989. The SIHU team and advisors assisted with field reconnaissance for the establishment of position fixing stations and some of the SIHU team also undertook training onboard. Left: MV Cape Pillar. Right: The much smaller MV Solomon Ophir. Both vessels provided valuable service to the SIHU. By the 1990’s the SIHU had achieved the status of a mature hydrographic and cartographic organisation responsible for the safety of navigation needs of the Solomon Islands. 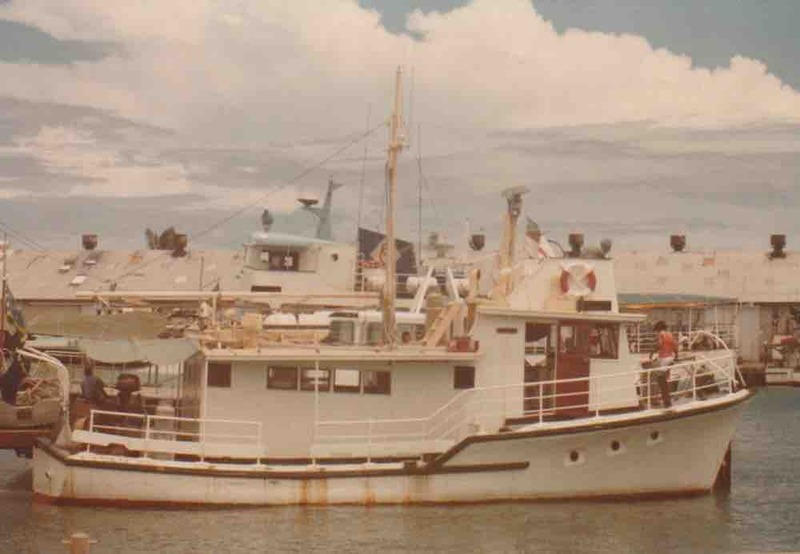 It was adept at conducting hydrographic surveys, producing navigation charts and providing nautical information to the international charting agencies that had charting and nautical publications coverage of the Solomon Islands. Regrettably, diminishing government financial support, coupled with evolving ethnic tensions in the Solomon Islands resulted in the RAN advisor being recalled in 1993. Those tensions spilled over in 1998 and in the wake of them the records of the SIHU office were lost. Fortunately throughout the cooperation program copies of survey results, ‘fair charts’ and other records were sent to the RAN Hydrographic Office for appraisal and quality control purposes. The last Solomon Islands officer of the SIHU left the unit in 2005. In 2009 the International Hydrographic Organization (IHO) undertook a capacity building visit to the Solomon Islands to reports on the deteriorating state of hydrography and nautical charting. This resulted in the establishment of the Solomon Islands Maritime Safety Administration (SIMSA) which was formed in April 2009 on the dissolution of the Marine Department. As part of the reorganisation SIMSA assumed responsibility for national hydrography. In 2012 following a meeting of the South West Pacific Hydrographic Commission (SWPHC) the IHO produced a further report establishing a National Hydrographic Strategy for the Solomon Islands. This resulted in a new SIHU being established in early 2012 with 4 full time staff consisting of three officers to carry out surveying activities and another to perform the duty of nautical cartographer. The unit has since been provided with its own survey boat and modern hydrographic data acquisition systems, tidal equipment, terrestrial survey instruments and hydrographic processing software. On 11 August 2017, the Australian Hydrographic Office assumed the role as Primary Charting Authority for the Solomon Islands taking over from the United Kingdom Hydrographic Office. Chart numbering prefix would become “SLB”. The paper and electronic charting coverage of the Solomon’s can be found on the Australian Hydrographic Office website. Solomon Island Hydrographic Unit Staff 2018. (L-R): Dalomae, Olisukulu, Hanuagi and Mani. Today the Australian Hydrographic Service continues to provide support to the Solomon Islands Hydrographic Unit. Cartographic: Moses Zama, Andrew Airahu, Crofton Lulu, John Ben (Bew), Loviness Sifoni. John Dalomae Senior Nautical Cartographer (Cat B Cartographer). Surveying Australia - December 1984 – “Hydrographic Surveying in the Solomon Islands” by CPOSR Peter Walker (SIHU Adviser 1983-85). International Hydrographic Review – “The Solomon Islands Hydrographic Unit (SIHU)” by CPOSR Karl Bauer (SIHU Adviser 1985-87).